Its “Valeu!” for the first event winner of the 2014 season! Goldcoast is still in a huge turmoil. After a long wait through the days of the waiting period the surfing conditions finally set up for the continuation of the first event of the competitive season 2014. Boys and girls were starting to get anxious, but the superbank was either too windy or too choppy or too both. When will the perfect waves deliver, was the question on the lips of both organizers and contestants!? But last days of the waiting period made contest director&co., and all the contestants very happy. The winds turned offshore, the waves grew to a very contestable 3-5 feet and the Bank just started to roar. 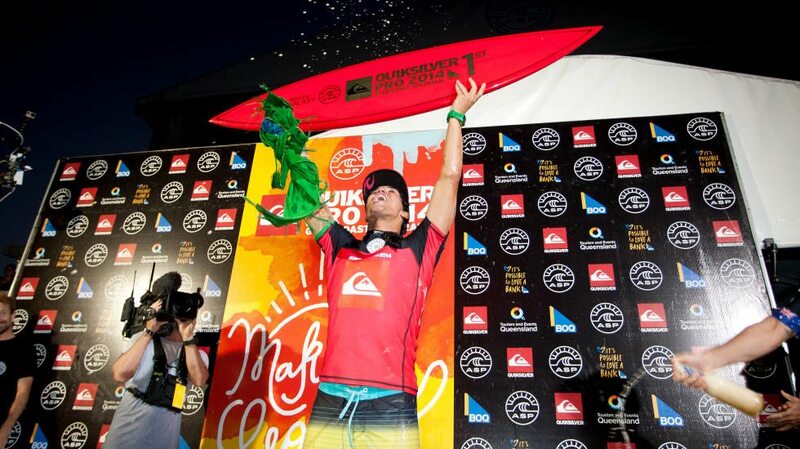 Young Gabriel Medina claiming his well earned reward. The road to finals was full of power snaps and occasional tube ride here and there, while we could see top seeds slowly falling out, until there were only four riders left, Gabriel Medina vs. Joel Parkinson and tour sophomore Bianca Buitendag vs. Stephanie Gilmore. And did they light the Bank or what!? A surprise for all regulars at the Bank was Gabriel`s b/side attack which send Joel P wanting. During the contest there was quite an eyebrow raised while we watched the heats prior to final. The upper hand was often given to the big names, judges scoring preferred top seeds to the underdogs and so it was when the final started as Joel scored very high for his first wave. But that was all about to change. 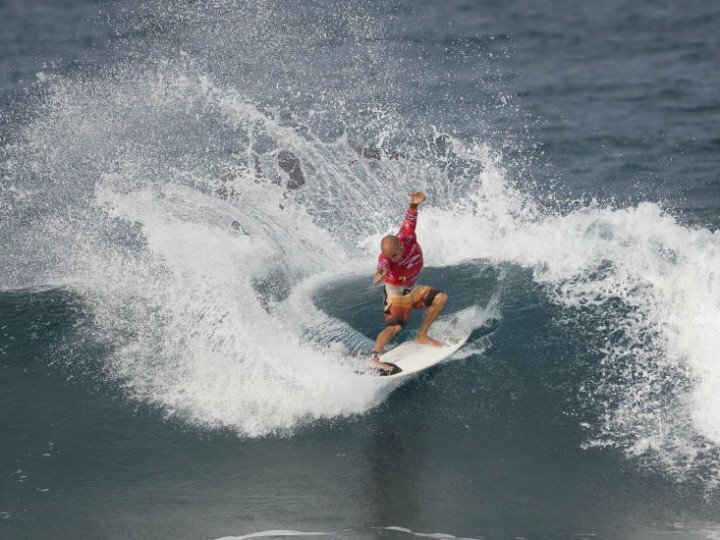 Young buck from Brazil showed all his surf prowess and dominated over Joel with strong hacks and snaps, choosing completely different positioning in the lineup, which in the end proved fatal for Joel`s claim to the winners podium. Surfing, its all about 3D. Go vertical all the way, Medina style. Usually, the girls get the worst of the surfing conditions, but the “newer” ASP set up both men`s and girl`s semis- and finals on the same day, so we could enjoy non-stop action without those pesky expression sessions between the final heats which set many an observer dosing off just prior to the big thing. The heat was on in the late hours of Australian Tuesday when the finalists took their positions in the lineup and started firing away. In the semis we could see a double duel of ex-champs Stephanie Gilmore vs Carissa Moore and two “rookies” Bianca Buitendag vs. Lakey Peterson. In the end there was, of course, an ex-champ vs “the rookie” final (competitive sophomore to be precise, as its her second year on the tour!). Whats not to snap!? Steph G in the heat! Steph used all her past competitive experience and dominated over young Bianca with powerful snaps and launching off the lip, until her final score showed 15.80 vs Biancas 10.47 points. A first claim for the 2014 throne, but the road is long, the next stop is soon and that is Margaret River, starting April 2nd. Steph, the queen of ASP.